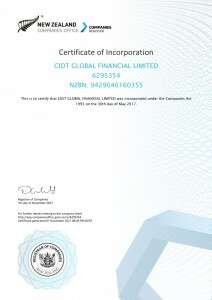 CIDT Group was established since 2001, it is mainly to focus on property developments in the Mainland China and Hong Kong, also with financial investments & trading business.In 2009, CIDT Group constituted a new company in order to aggrandize the precious metals trading. Based on our good experience in solid investments with well-qualifies team staff, we have tremendous confidence in providing high-quality services to the current and potential customers of the Mainland China and Hong Kong inclusive. 5.Sophisticated intellectual Management System furnished for providing effective supports to our marketing executives in order to satisfy customers’ financial needs. 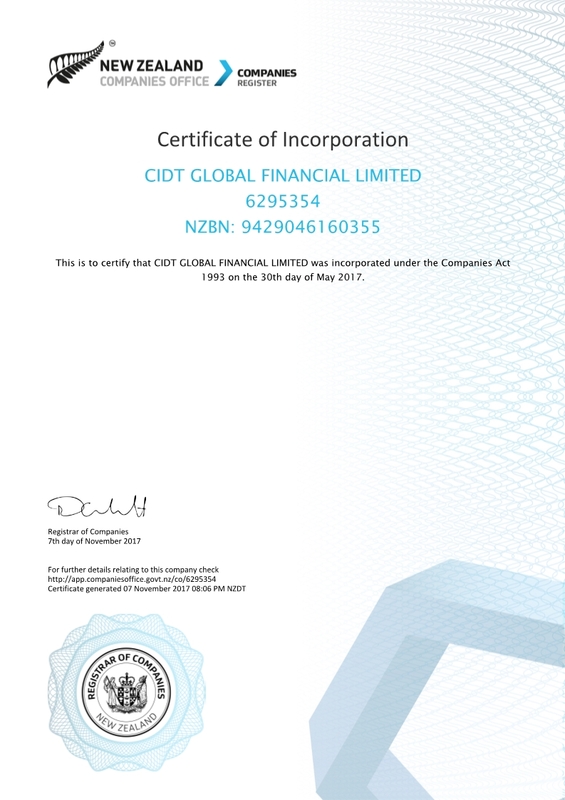 In order to expand business, CIDT Group have registered as the Financial Services Providers in NewZealand. CIDT International Bullion Limited. All Right Reserved.